Following a criminal arrest, you may find yourself overwhelmed with countless legal questions. Am I going to jail? Will I have to pay a large fine? How is this going to impact my future? Fortunately, attorney Caroline Simine is here to answer your questions and help you develop an individualized defense strategy aimed at protecting your future. A criminal charge is a very serious situation, often leading to jail time and can leave you with a criminal record. If you have been accused of a criminal offense, you need to contact an experienced lawyer right away. With offices in both Denton and Dallas, we defend individuals throughout Denton,Dallas, Collin, and Tarrant counties. 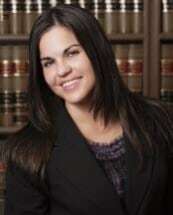 Contact Caroline Simone at Simone Legal, today for a FREE initial consultation. Learn how she can help protect your freedom and your future.